The Spanish tax and legal system is very different from that in the UK and many other countries. Many people who have moved to Spain or are planning to do so inadvertently find it complex and potentially expensive from a tax perspective. What they often do not realise, however, is that they may be able to take advantage of Spanish tax compliant opportunities to protect their assets from the various Spanish taxes, so much so that they could potentially end up paying less tax in Spain than in countries like the UK. As with any wealth and estate planning, the starting point is to understand what the rules are and then establish if there are ways to minimise the personal impact of them and if you can use the rules to your benefit. 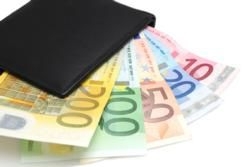 If you are a Spanish tax resident or you will become one then you will be liable to Spanish income tax and capital gains tax on your worldwide income and gains. You may also be liable to Spanish inheritance tax if you receive an inheritance or gift as a resident of Spain and your Spanish assets will be liable for Spanish inheritance tax when you die. The rates of tax and the reliefs available can vary in Spain depending on whether the State rules or the rules of a particular Autonomous Community (in this case Islas Canarias) apply. You may also still be liable to UK inheritance tax if you are a UK domicile. If both local and UK inheritances taxes are payable on the same assets, you will be able to credit the overseas taxes against the UK tax. If you are not Spanish tax resident you will still be liable to Spanish inheritance tax on your Spanish assets. This results in many people paying inheritance tax in Spain on the first death, and greater levels of combined UK and Spanish inheritance taxes. You will also be liable to Spanish capital gains tax if you sell Spanish assets whilst UK resident; withholding tax will be deducted at source in Spain, however this may be exempt under the terms of the UK/Spain double tax treaty. You should seek professional advice when it comes to tax planning in Spain to ensure you get it right and don’t pay more tax than necessary. The above is based upon current taxation laws and practices which may be subject to change.